Lailey 2008 Chardonnay Old Vines ... This is one of those wines that makes me look at the new project by former Lailey winemaker Derek Barnett (Meldville Wines) with excitement. Here we have an 8 year old Chardonnay that is in perfect working order. Nose is full-on butterscotch, marzipan, and hazelnut; while the palate has all that buttery, spicy, goodness plus acidity to spare. As the wine sat in glass it developed more complexity with spiced-caramel, a little salty-mineral, and some pleasant pralines. Daniel Lenko 2010 Chardonnay American Oak ... Stepping it up two years and we see the influence of American Oak on Ontario old vines Chardonnay. Lots of caramel, vanilla, apple-peach-pear, but for the most part it's subtle of fruit and big on vanilla-caramel ... The palate seems to also follow suit with Werther's original butterscotch / toffee and vanilla-spice flavours taking over ... There seems to be a thick (read creamy) viscous note to the palate but with good acidity which stops it from being to cloying and heavy (something I usually associate with icewine and not Chardonnay). Flat Rock 2007 Pinot Noir ... My first red was the wine that flavoured the stew that morning (opened at 9am) ... you just knew I would taste it at that time and then again at 6:30pm when we sat down to dinner - in the proceeding hours the black, sour cherry and smoked-cranberry flavours had oxidized, and while the acidity was still quite good the smoky-earthy notes had started to take over the wine - my advice here is that it is ready to drink so just go for it. Featherstone 2010 Cabernet Franc ... Long a go-to Franc for those who like the grape, this annual value staple from Featherstone has aged very well. The nose is pretty much where I expect it to be at 6 years of age, with earthy, tobacco, and cassis aromas followed by smoky-tobacco, earthy and spiced sour raspberry/strawberry on a silky smooth palate, adding a touch of white pepper to the finish. Lovely. Dirnking well now and most likely for the next couple of years. 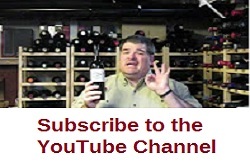 Click on wine name above to see original review.